Here at Graber Olive House, customers are delighted by the quaint beauty of our grounds, shops, and cannery. This beauty is enhanced by some very special artwork -- on our ceramics, in our shops, and even on our shipping boxes! The prize-winning boxes in which your packages arrive were designed for us by California artist, Rex Brandt (1914-2000). 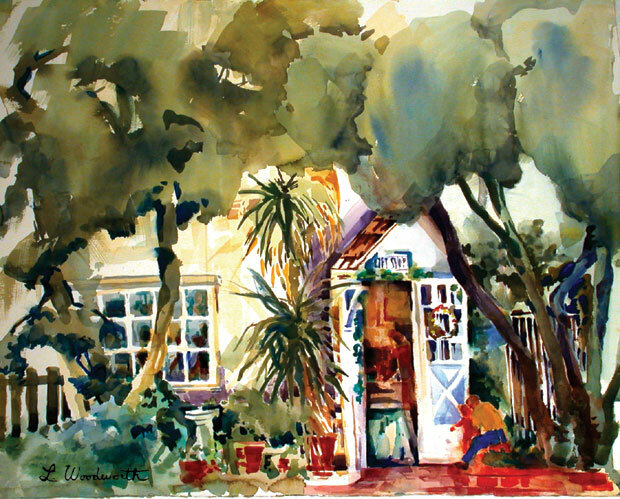 Brandt achieved recognition at a very young age, and is considered one of the most important and influential California watercolorists. Our beautiful olive bowls were designed and hand-crafted by Roberto Carrillo. This talented ceramic artist has been creating one-of-a-kind art pieces for over 20 years. Carrillo specializes in handmade, functional, wheel-thrown pottery that brings art and beauty into everyday life. All of the pottery is food-safe, microwave- and dishwasher-safe, and lead free. Many gifted artists have exhibited here and shared their talents with us over the years. 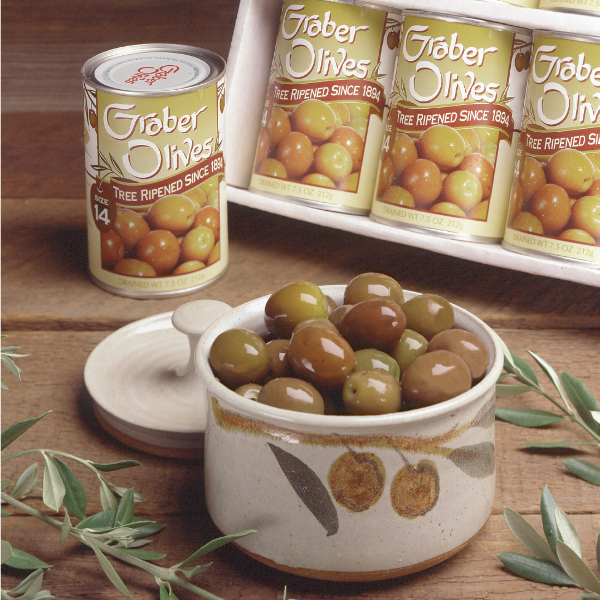 A trip to Graber Olive House gives the feeling of being at the home of an art collector, one who has a great eye for talent, supports local artists, and shares his treasures freely. The backbone of our organization, many Graber employees have been with us for decades. 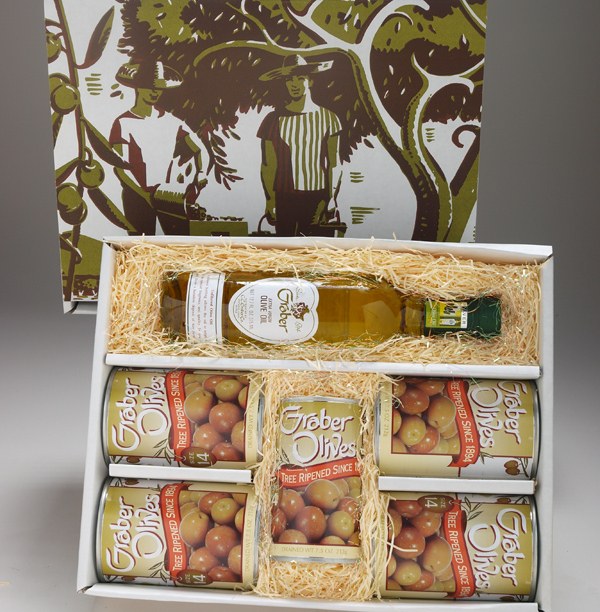 Many more return year after year to help out during our busiest time -- olive season!